Reminding myself of this very concept this week. We are MUCH stronger than we think! Our doubt and negative thoughts can be our own worst enemies. We have the Woodrow Wilson Bridge Half Marathon this coming Sunday and are so incredibly excited. I’ve had this dumb hip pain since my last race and am really resting it this week, light foam rolling, and getting my mind in the right place. I know that if I start the race thinking “my hip hurts, my blisters hurt” before I even cross the start line, I know that I will run a horrible race. Half marathons hurt. Running hurts. 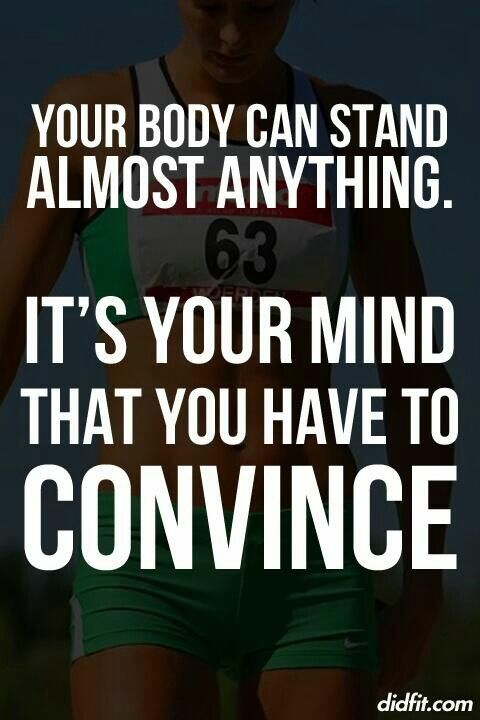 I’ve got to be in the right mind set and remember mind over matter. I’ve done my running this week and it’s felt great – I know I can do it! Glad to hear it! Keep finding your strong!